The Egypt revolution couldn’t possibly have unfolded the way it did had the Internet not been around. India Against Corruption (IAC) movement couldn’t have gained traction and struck a chord with millions of frustrated Indians had there been no vehicle available for carrying forward its message. While the election campaign of BJP’s Prime Ministerial candidate Mr. Narendra Modi has been unique and extraordinary in more ways than one, the support he received from millions of netigens in India was ‘phenomenal’ to say the least. Going by the blogs, comments, infographics, videos and other such content published, shared or debated on by Modi fans on the Internet, it appears that the fan base comprises of all sorts of people – intellectuals, commoners, and liberals who argued reasonably by providing facts and others who were intolerant to contrasting views. That’s NaMo supporters being humans; the larger picture that has now emerged indicates that the Modi wave on social media played a vital role in garnering support directly for a PM candidate and not a party or group. A section of people believe that the NaMo campaign was a well executed marketing campaign, funded heavily by the Corporate. Whether their belief is backed by facts or they are merely shocked at the intensity of the campaign that no one could have possibly predicted until around 3 years ago, is for readers to judge. But, one of the biggest social media campaigns advocating ‘Narendra Modi for PM’ was initiated, sustained and steered forward by a team of 8 youngsters who they say received no financial assistance from the BJP or any other organization. These 8 people are engineers and entrepreneurs, none of them officially associated with the BJP. Strange as it may sound, the team started working in isolation and it was only at a much later stage that its efforts were recognized by the BJP. The team first created ‘I Support Narendra Modi’ (ISN) Facebook page in 2011. 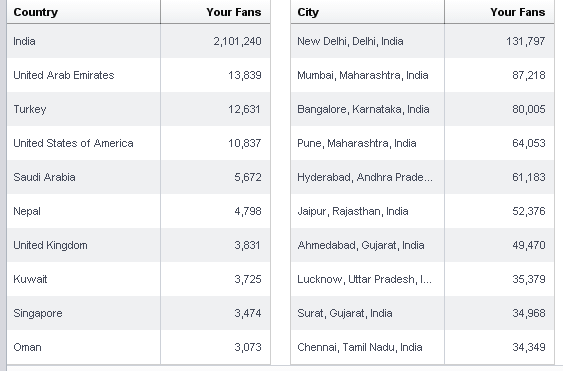 Today, the page has a total of 22 Lac fans. Given the fact that the content shared on a Facebook Page, if liked, shared or commented on by users, reaches out to a much bigger audience, ‘I Support Narendra Modi’ Facebook page went a long way in propagating the NaMo chant while at the same time highlighting the inefficiencies of the crippled incumbent government. Major Indian Cities: New Delhi, Mumbai, Banglore, Pune, Hydrabad, Jaipur, Ahemdabad, Lucknow, Surat, Chennai, Calcutta, Indore, Bhopal, Kanpur, Gurgaon, Allahabad, Varanasi, Chandigarh, Dehra Dun, Nagpur, Ghaziabad and Noida. Unlike traditional marketing channels, social media cannot be controlled by merely fueling funds or by deploying hordes of people specializing in twisting facts, information and public opinion. Social media campaigns move forward or the core message travels far and wide if it strikes a chord with the masses in the most natural way without anyone trying to control or manipulate the opinion of the target audience. The team of 8 people, now running a total of 26 Facebook pages and twitter handles, took out time from their day to day professional and personal engagements to keep the NaMo chant alive. 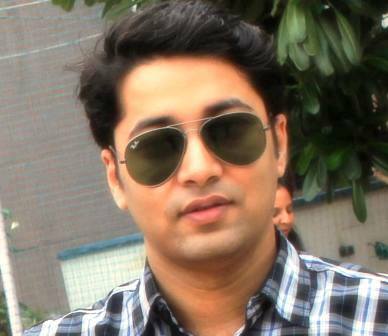 Vikas Pandey, who leads the team, is a software architect by profession. He lives in Noida. Vinod Rai too is a software architect by profession. 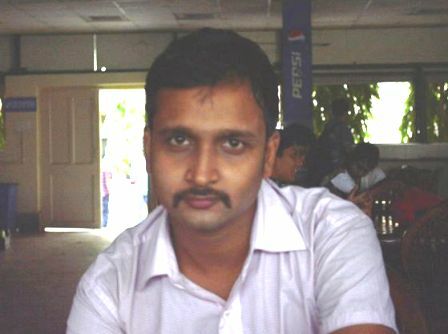 Having written Java codes for around 8 years, Vinod set aside 3 months and dedicated himself to the cause. 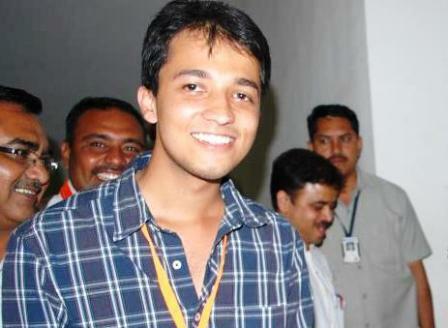 Hitesh Rangra, an NIT Hamirpur alumnus is a software engineer, currently deputed in Himachal Pradesh. He has been carrying out the necessary research for social media content creation for the ‘I Support Narendra Modi’ and other Facebook fan pages. He strategized the creation of #NDARocks on Twitter that was World no. 2 trending hashtag at that time. 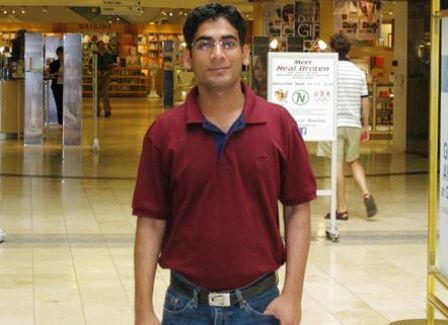 Devang Dave, a web 2.0 programmer looks after the YouTube channel that has a total of around 69 thousand subscribers. The iSupportNamo YouTube channel has recorded over 79 Lac views until now. Bijesh Dwiwedy looked after the creation and publication of graphic content on the main ‘I Support Narendra Modi’ Facebook page. Bijesh is also a software engineer by profession. 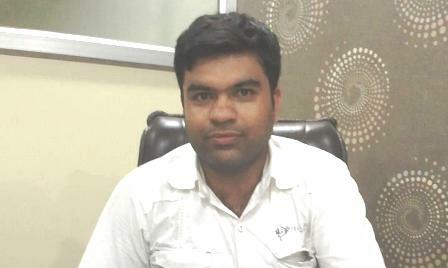 Hardik Upadhyay is an entrepreneur who looks after the website. 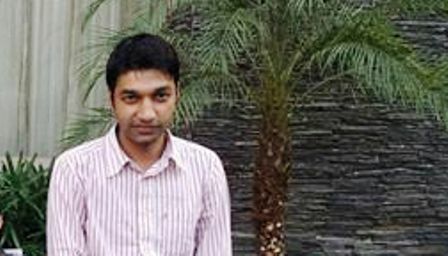 Hardik is co-owner of a web development company. 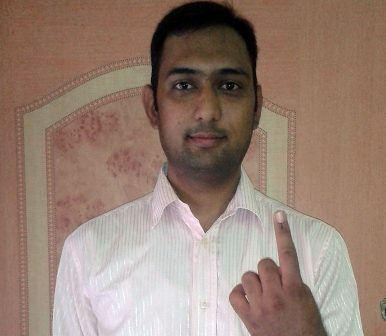 Shailesh Jha, a software engineer based out of Delhi looked after door-to-door campaigns that the team launched around 6 months before the elections to ensure maximum voter registrations. Such drives were organized by the team with the help of thousands of volunteers from across the country. Vikki Giridhar, a young business owner from Kurukshetra, handles many of the sister pages of ‘I Support Narendra Modi’ Facebook page. While the team continued to inform millions of people about the Gujrat model of governance & development and suitability of Narendra Modi as Prime Minister of the country since 2011, it was much later in 2014 when these 8 youngsters were finally face to face with BJP’s office bearers in New Delhi. 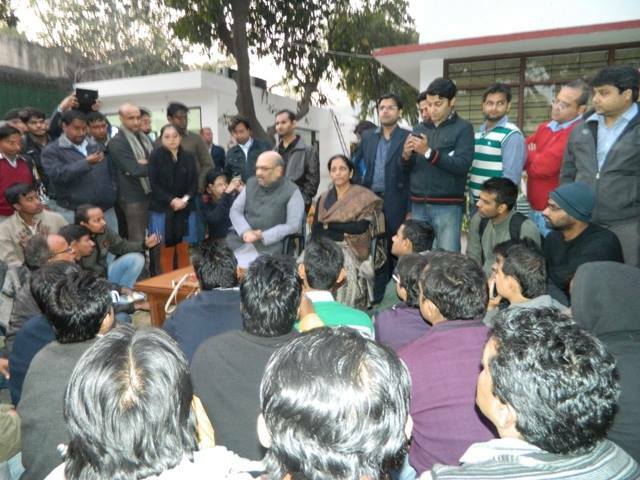 Speaking to the Hill Post, Hitesh Rangra said that the team found BJP’s Prime Ministerial nominee a perfect candidate. “We wanted to do our bit. We had no idea we would come this far,’ he said. 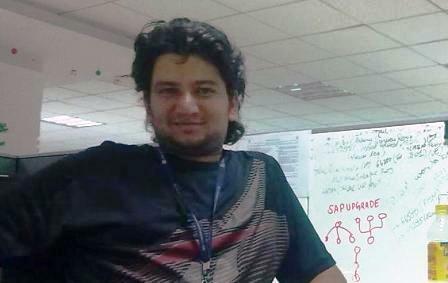 When asked about the moderation of user generated content on Facebook pages and other social media communities, Hitesh said that the team and volunteers made sure everyone was allowed to voice their opinions, in favor or against the stand they had taken except in cases when someone resorted to abusive language or spam. It is May 12th today and the country awaits the final outcome of general elections on May 16th. The team of 8 youngsters that voluntarily steered forward Narendra Modi’s social media campaign is confident that the candidate they have supported for so long for the love of their motherland will soon be heading a new government. No matter who comes to power, wins a majority or forms a coalition government at the center, it has been hell of an election in India this time! The people of my country, it seems, are no longer going to let things happen; not by default. Well done friends. Thank you for your initiative and please continue this till we achieve Good Govt in all states, Clean and Green India, Clean River and strong economy. For any kind of support please feel free to write. Keep it up….proud of you all for the selfless work you people started. And really I wanna meet you all once in future. I worship Modiji…. SMSes, online chatting affect student grades?